With this collection of stories, Cristina Pantoja Hidalgo departs from the “tale” mode of Tales for a Rainy Night (1993) and Where Only the Moon Rages (1994), and returns to the realistic short story, the mode of her earlier collection, Ballad of a Lost Season (1987). But the simple narrative style and the nostalgic tone of these new stories about the young girl, Patriciang Payatot are reminiscent of the tales as well as of her travel essays, a genre in which she pioneered, and which some critics regard as her best work. Okay that blurb won’t tell you anything at all — I just copied that from the back of the book. I used to believe that writing short stories was easier than writing a novel, mainly because of its length. I mean, short stories are just short. You don’t need to put in so many characters, you don’t need to have complex plot lines, or chapters. But as I wrote, I realized that a short story is equally hard. In a novel, I can afford to ramble, I can afford to insert as many characters as I want, put in all kinds of random devices just to make something happen in the story. In a short story, I am limited because it’s supposed to be short, and a short story has to pack as much punch as a novel. Somehow, the characters have to be more memorable, the plot tighter and the ending more memorable, despite its length. 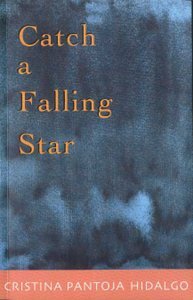 Catch a Falling Star is a collection of short stories about Patricia Soler. Yes, you read that right: all twelve stories in the collection are about a girl named Patricia, or Trissy, her childhood, her school life, and other stories about her family and the places around her. It’s not a novel, and it’s not a series of stories that you have to read in order. According to the author, she wrote these stories after writing her novel, in memoir mode, as if an older woman was recalling stories of her childhood. So Trissy was born, and her stories first appeared in magazines such as the Philippine Free Press and Philippine Graphic before they were published into this book. Just like the title, I thought the entire book was positively charming. Despite the length of the stories and how I was only offered glimpses of Trissy’s life, I thought she was a real person. The stories were written as if I was with Trissy in a coffee shop and she was telling me of all these stories of her childhood and laughing as she recalled them. The stories here are diverse enough to each pack its own punch — there was a story of the glasses she received for Christmas that she attempted to trade for a hopscotch stone, a story of her afternoons with their laundry woman who other maids thought was witch. There were stories from her conservative Catholic school and her classmates, stories of her befriending the most unpopular girl in school, a story of her being called “Patriciang Payatot” because of her stature, and stories of class reunions discussing one of their old classmates and her sad fate. There were stories about her family, of one summer vacation she spent with an aunt, of a boy that must have been her half-brother, and even a story of a woman who arrived at a wedding but no one knew who she was. And of course, there were stories of crushes, having loved and lost. It all seems very different, but there is a continuity in the stories that helped me keep track on where I am and who was who. Even if most of the stories only showed Trissy from her childhood up to sometime during her college years, I didn’t feel cheated at the end of the book. I felt like a friend just simply ended her story, and is waiting for me to tell mine. Thank you very much for this generous review. I’m very glad you enjoyed my book. Personally I believe that writing novels is more demanding because it is ultimately a more time-consuming undertaking. But I also believe that short story writing is a more exquisite art form because, in line with what you said, it tends to require perfection. Every line in a short story is important and serves a purpose, may it be for plot or poetics. Like you said, nothing can be wasted. I’ve never tried Hidalgo before. The only Filipino fiction I’ve read so far comes from Rogue magazine :) Thanks for bringing attention to this work! I’ll go look for it.